Seal the vows of forever by presenting the groom with a ring inlaid with a piece of a falling star that represents the promise of the past and the wishes of the future. Meteorite rings feature inlays of genuine Gibeon Meteorite. Named for the town of Gibeon, Namibia, the meteorite is made of iron-nickel that is estimated to be about four billion years old. The significance of a meteorite is in the wishes that it holds. Streaking across the night sky in a brilliant shot of light, meteorites were once meteors, which we commonly call shooting stars. Many wishes have found a silent home on these special stars. The meteorite ring collection features a look fit for every groom. Classic, vintage, and modern designs all take flight on the four-billion-year-old meteorite inlay. Diamonds and other details can be added to elevate the look and charisma of the ring. And since every piece of meteorite is unique, no two bands are exactly the same. 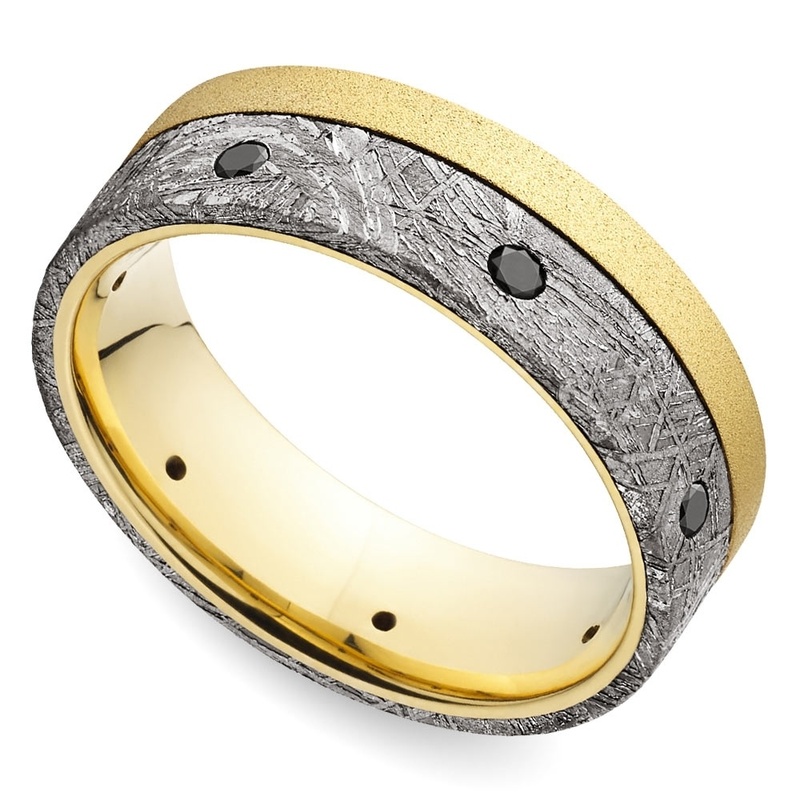 Modern appeal can be found with the segmented meteorite ring. Designed with notched segments of Gibeon meteorite, the ring offers a timeless but updated look with a comfort fit design and is set in bright white cobalt, letting the gray meteorite pop. Classic and traditional styles abound in the collection. 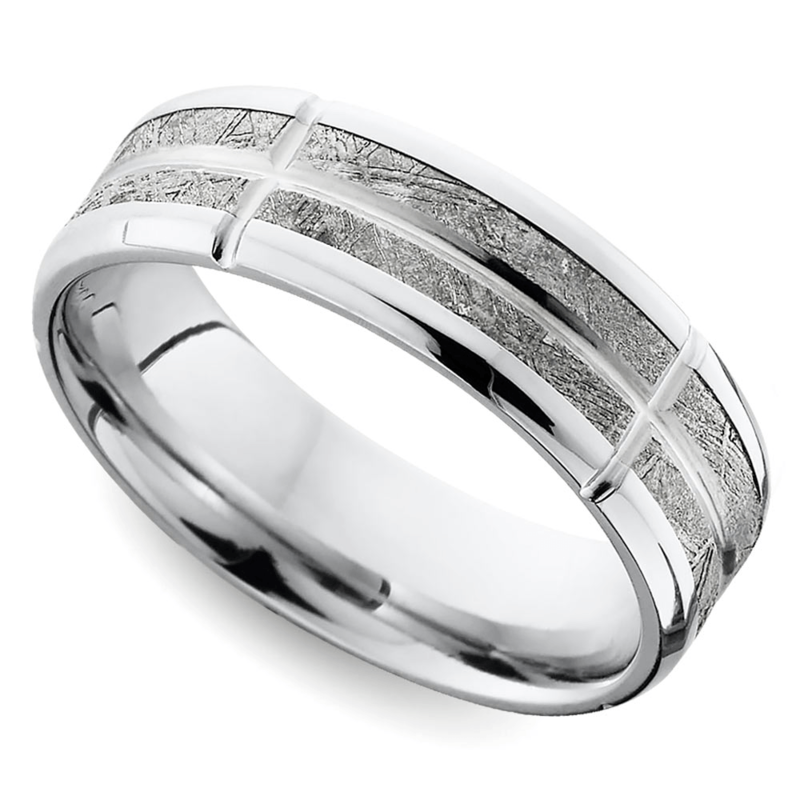 Men who favor the more traditional design may choose a simple domed comfort fit band set in zirconium, white or yellow gold. A flat satin meteorite ring also may be designed in zirconium and the simple, yet masculine sand-blasted band design is offered in titanium. All feature a five millimeter inlay of meteorite. Stars shining in the night sky offer inspiration for the contemporary design of the black diamond meteorite ring set in yellow gold. The eight millimeter band includes one-third carat of black diamonds, glistening like a small constellation against the inlay of meteorite. Vintage details and designs inspired the antiqued flat band setting. The 7.5 millimeter cobalt band features antiqued black grooves that provide a nostalgic throwback. 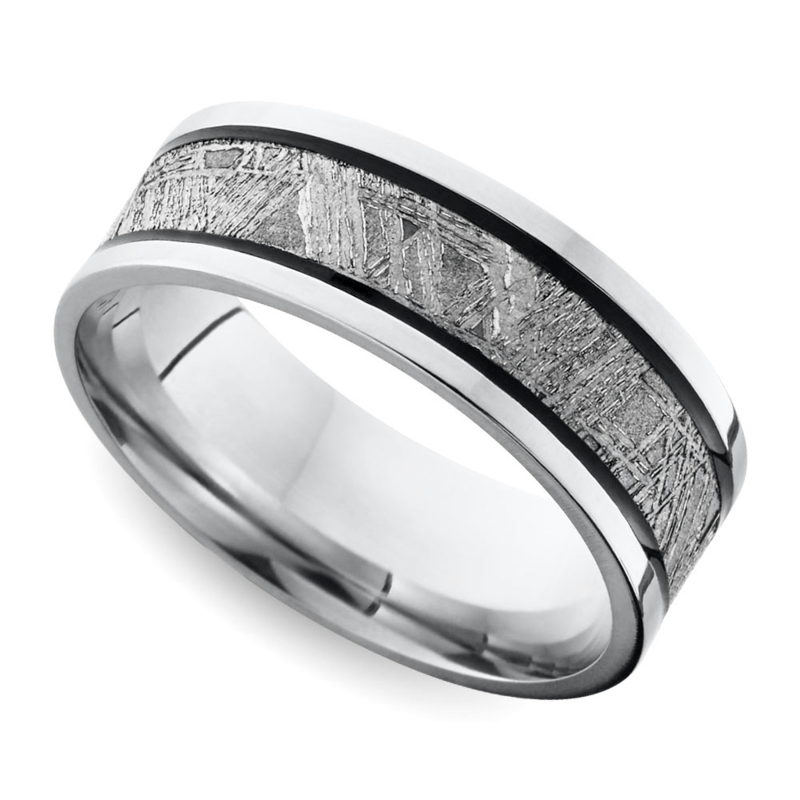 The signature meteorite inlay gives the ring a rugged prestige. All rings in the meteorite collection are backed by Brilliance’s 30-day money back guarantee. If he isn’t enchanted with the billions of years his ring promises for the future, Brilliance will exchange it for something that suits his unique tastes. 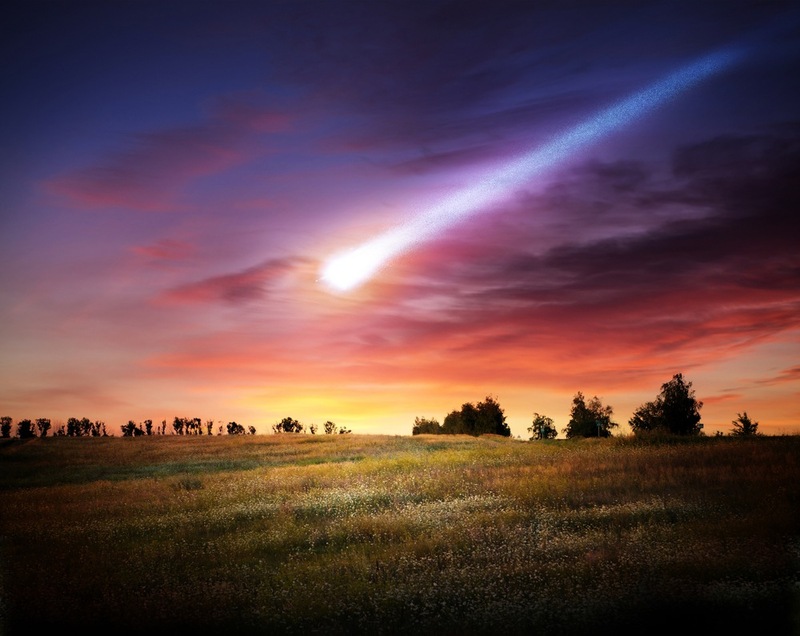 Meteorites are wishes preserved in physical form. Every groom deserves a one-of-a-kind statement ring that cements his role in the couple’s own special story. Brilliance ensures that the ring he wants is the ring he gets, because each ring can be paid for over a time-frame that works for each individual. With Affirm loans, pay off the ring in three months, six months or a year, whatever fits your budget. Rings in Brilliance’s meteorite collection are treasured pieces of art representing billions of years of magic. On his finger, one of these rings will once again fly through the sky, but this time it won’t make a crash landing. Shipping for rings is always free, and his ring will arrive on time without incidence or worry. Give the man who gives you the stars and the moon a star of his own with a ring featuring genuine Gibeon meteorite. Make one final wish as the ring slides on his finger with promises of loyalty, faithfulness, and a lifetime of love.